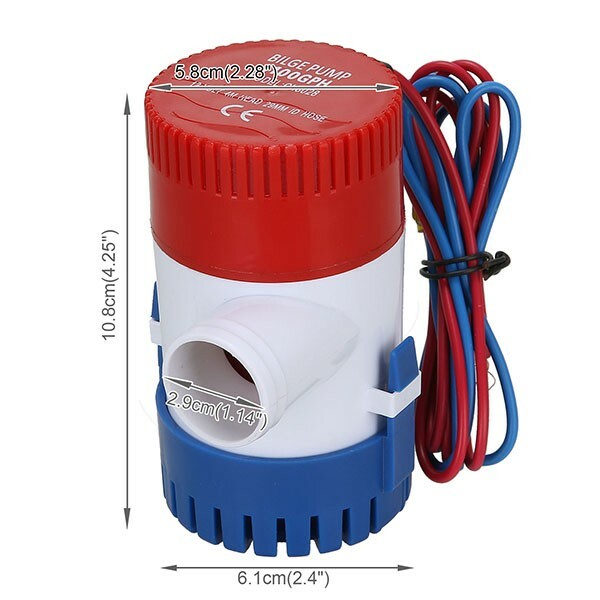 This 1100GPH Submersible Bilge Pump featured with stainless steel shaft, high efficiency and anti-airlock protection can be widely used in fishing boats, caravan, large aquarium, small swimming pool, fountains and other occasions. Twin core wire leads length: 930mm approx. Note: this pump is designed for intermittent use only, NOT designed for continuous use.